Selfish Sewing Week starts in one week! Don't know what that is? It's a week full of sewing for YOU! Most sewing blogs I follow are also mamas who make, and most of the things we make is for our kids! There isn't anything really selfish about sewing for yourself, but its a cool term and I'm running with it. 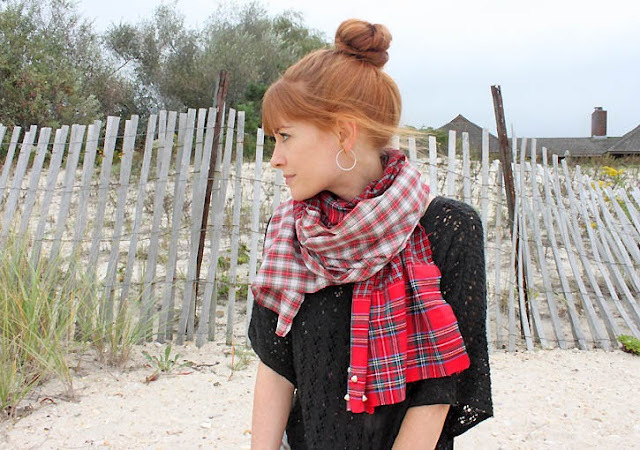 Selfish Sewing Week is put on by Rachael of Imagine Gnats and Jill of Made with Moxie. It runs from September 23-29. One week where women around the globe (and potentially even on Mars too) will be sewing things for themselves! What's on your to sew list for yourself? So I have several Pinterest Boards where I collect a bunch of inspiration for *me*. The main one is This Mama's Style, where I pin any fashion inspiration I like. My style is a combination of many sub-cultures like punk and goth and rockabilly with a pop culture flavour and the main thing is it has to be comfortable. While I usually get around in jeans or leggings and a tee, I haven't given up hope that one day I will be able to wear dresses and skirts again because my kids won't be so little that I won't have to be *practical* in my daily clothing choices ahah. If you're wanting free patterns and/or tutorials, you're going to want to take a peek at my Womenswear Tutorials & Patterns pinboard. This is where I collect everything that you can make without spending a dollar on patterns. There is also the T-Shirt Surgery board, because I needed an entire board dedicated to tutorials and inspiration on refashioning t-shirts! There are also several other inspiration boards for specific styles I like. Take a peek at the Steampunk board, the Mori Girl board, the Post-Apocalyptic Style board, the Rockabilly and Wanderlust boards and my Winter Inspiration board! Oh I also have a board for Shoe DIY! I chose the cup of coffee button! Even though I don't drink coffee I will pretend it is chocolate milk! I love these three giant-hooded things. It was super hard to find the original sources but all I have is the link to the second one. 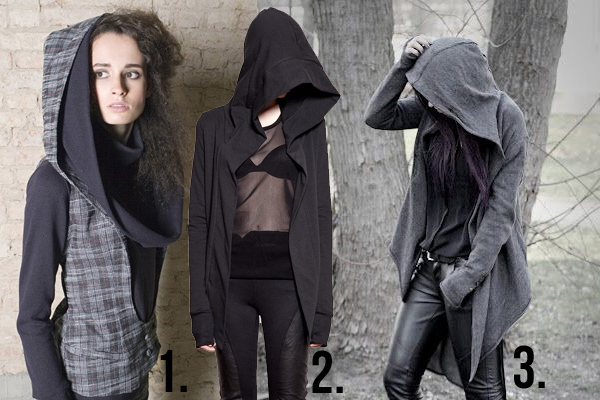 The first one is a hooded waistcoat layered over a cowl-necked shirt, the second one is the Valhalla Hooded Sweatshirt by Ovate, and the third one was for H & M inspired by the Girl with the Dragon Tattoo. I love the idea of an over-sized hood, they just look so comfy! I would love to make something that has this kind of rad geometric cut outs like Sophie from Cirque Du Bebe made for week 2 of Project: Sewn. Love this scarf by Rock Mosaic. I mean it's TARTAN for one. And also it looks so simple to make! 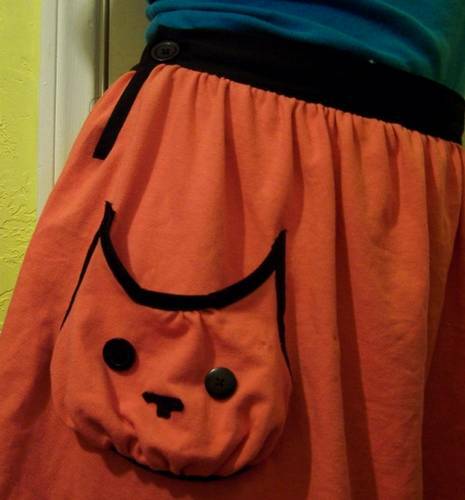 I want to add this kitty pocket to a skirt or *something*! Click through for a tutorial! And I also want a watermelon skirt! Or shorts. Or Pants. I don't know, Watermelon something! 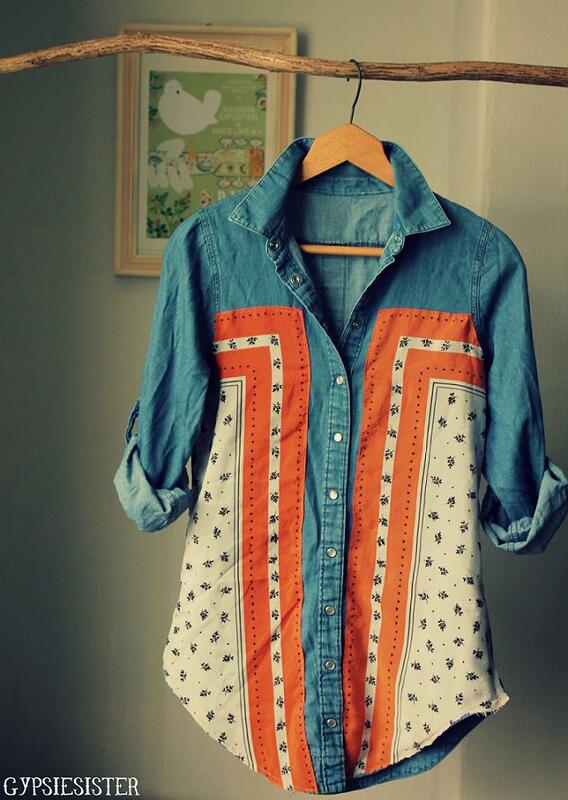 What's on your to-sew list? I'm excited to be going into warm weather over here in Australia! I love the hoodies and now I feel like I need to make me one like the 3rd on pictures. Looking forward to see what you'll make though. Happy selfish sewing. I'm thinking the skater dress, as something nice and light for our coming spring! and summer. I do however have a dress I cut out while I was pregnant (over 18 months ago) that I should sew up too! You need to make that watermelon skirt pronto.